Description : GraphWise is primarily a search engine. That is, it searches the web and detects data tables in all sorts of web pages and data files. 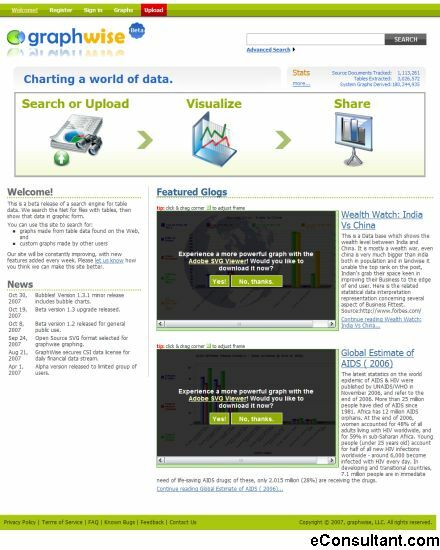 It is hoped that GraphWise will help you find the data you need more quickly, because it is visual. GraphWise does the searching through millions of rows and columns so you don’t have to. Then it "slices and dices" the data it finds to create meaningful plots of that information.